Because each individual family has personal desires and needs, we are happy to discuss costs on an individual basis. 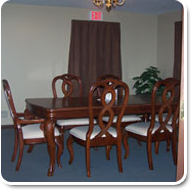 At the Mattera Funeral Home, we want you to know that we do care about you and your family. We want to assure you that during this difficult time, we will do everything we can to provide comfort and support to you and your family. We will meet with you in a peaceful atmosphere because we are here to give you information so you can fulfil the wishes of your family member. The above will be billed with net being 30 days after the funeral. 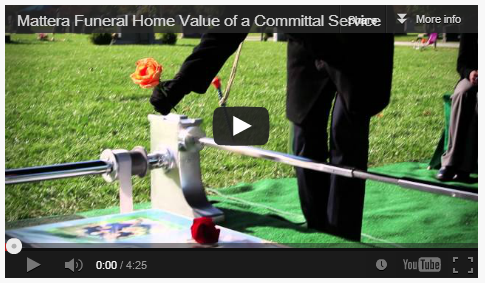 The Mattera Funeral Home will assist each family in making the right choice when burial decisions need to be made. Below are some explanations to help you decide which option might best suit your needs. 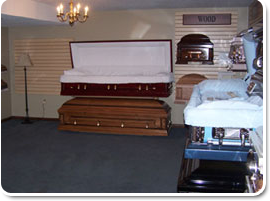 We offer a variety of caskets to meet your needs and comfort level. We are here to answer your questions and provide you with information so you can make choices for your loved ones. 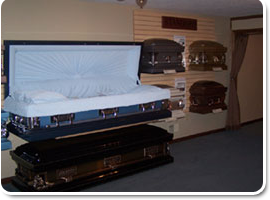 Caskets come in precious metals, steel, and wood. 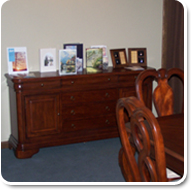 Wood caskets are constructed from a variety of hard wood, which includes cherry, oak, and other hard woods. These include non-sealed and sealed burial containers, which the casket is placed in at the cemetery. Sealed burial containers are made to keep the outside elements out and are usually warranted by the manufacturer. Non-sealed burial containers are a cement container for which the casket is placed in at the cemetery. Click on the image below to watch a video about the burial vaults. Cremation Urns are permanent containers that hold the cremated body. They are available in various styles and shapes and can be personalized. 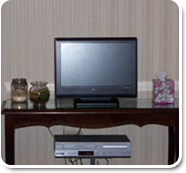 The Mattera Funeral Home also offers the availability of sharing your loved ones memories with friends and family by providing family members with the option to play slide shows, pictures, and video tapes of your special loved one on our DVD/VHS video system. If your loved one has a special artist or song that they loved we have the ability to play it during any service or calling hours over our sound system.